This windshield is designed to deflect air flow and gives a more comfortable ride and allows you to open hood and leave on windshield. **We do not accept returns if the protective coating has been removed. For installation peel protective coating back just past the holes only until you have verified everything fits. 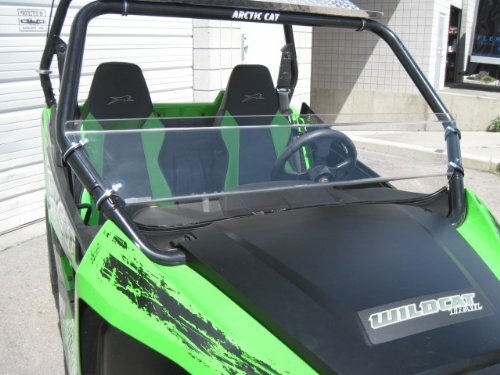 ** This windshield will only fit the Trail or Sport models. Does not fit the Full Size Wildcat.